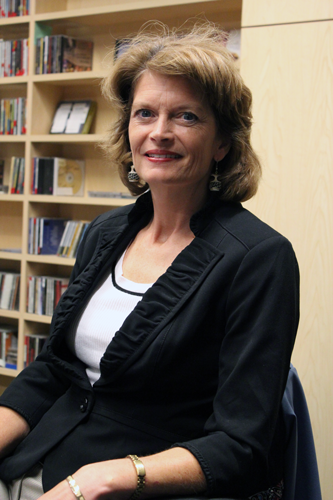 Photo by Josh Edge, APRN – Anchorage: Senator Lisa Murkowski in the APRN studios for Talk of Alaska on August 23, 2011. The President called for action on domestic energy development, infrastructure upgrades and climate change during his state of the union address. What could it mean for Alaska? U.S. Senator Lisa Murkowski will be on hand to discuss how her energy development plans may fit or clash with White House policies over the next four years. LIVE Broadcast: Tuesday, February 19, 2013 at 10:00 a.m. on APRN stations statewide.